Serving Business Owners, Professionals, Municipalities, Architects, Builders, Owners & Property Managers by providing the very best in On Site Advertising and Informational Signs. Pylon Signs and Monument Signs, Multi-Tenant Signage, Building Signs and Storefront Signs, Office Directories and Reception Area Signs. 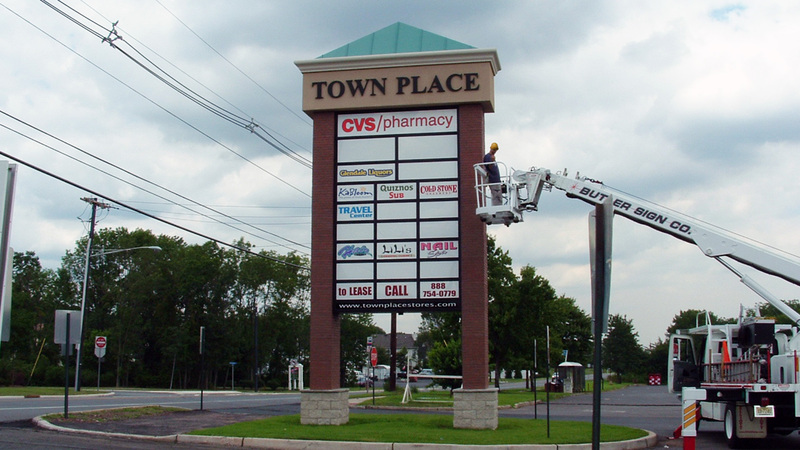 Sign Service and Maintenance through New Jersey and portions of New York and Pennsylvania. 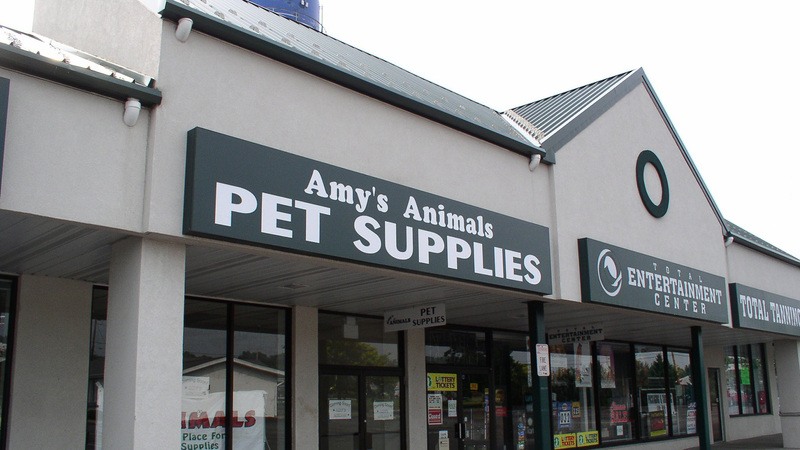 For more than three decades, the professionals at Butler Sign Company have provided the most comprehensive level of service in New Jersey. Managing all aspects of a project from securing permits and sign design to fabrication and installation or maintenance and repair we excel in all aspects of the industry. Whether you’re a new local business owner opening your first and only location, a manager building a regional presence or a national chain expanding into a new territory, Butler Sign Company will accommodate your every need by alleviating all of your concerns. Serving Private Retail, Corporate, Professional and Municipal Clients since 1979.Specializing in signs for onsite identity, advertising and information, we have experience with every sign type and the most effective use of each type for any project. How may we help you? Butler Sign Company has been an industry leader for more than 30 years. This is a result of excellent customer service and valuable experiences ranging from initial art and design concepts, fabrication on the production floor to installation at job sites and in offices and municipal buildings. Our experience encompasses successful work with the variance and permitting processes, providing expert testimony, satisfying client needs while managing historic district criterion and municipal beatification committee guidelines. Our team knows how to get things done for you! Whether you’re a business owner, landlord or a property manager, you’ve got a lot to do. Anything that shortens your to-do list makes a difference and that’s doubly true when you’re building a new business, expanding an existing business or managing several. Everyone’s time is valuable and we understand that. Working with us will afford you the opportunity to remain at ease, knowing your interests are being served as this is our primary goal. 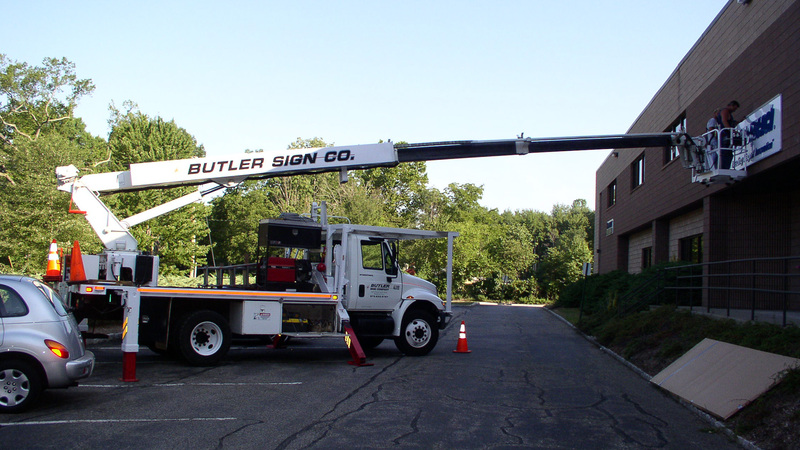 Clients throughout New Jersey have trusted Butler Sign Company to provide turnkey service encompassing all aspects of their sign projects. Local, Regional and National Clients know we’ll be there to take care of any maintenance or service, ensuring their signs are always promoting the best their business has to offer. 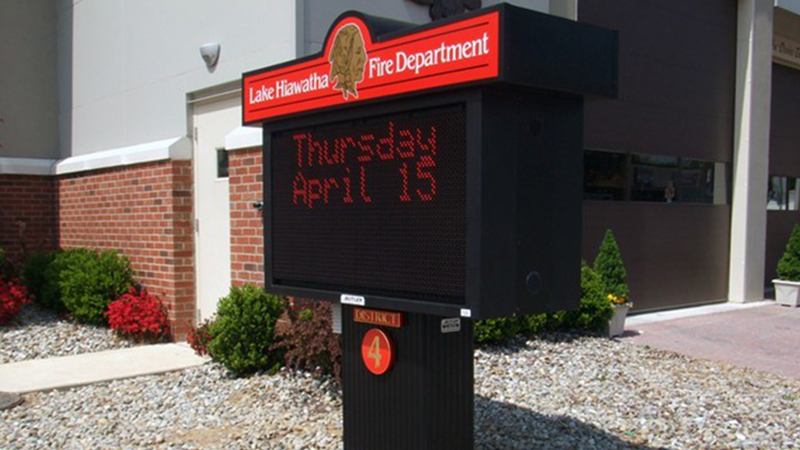 Our sales representatives and project managers will provide you creative, timely and accurate information to guide your decisions in creating the right sign package for your business! 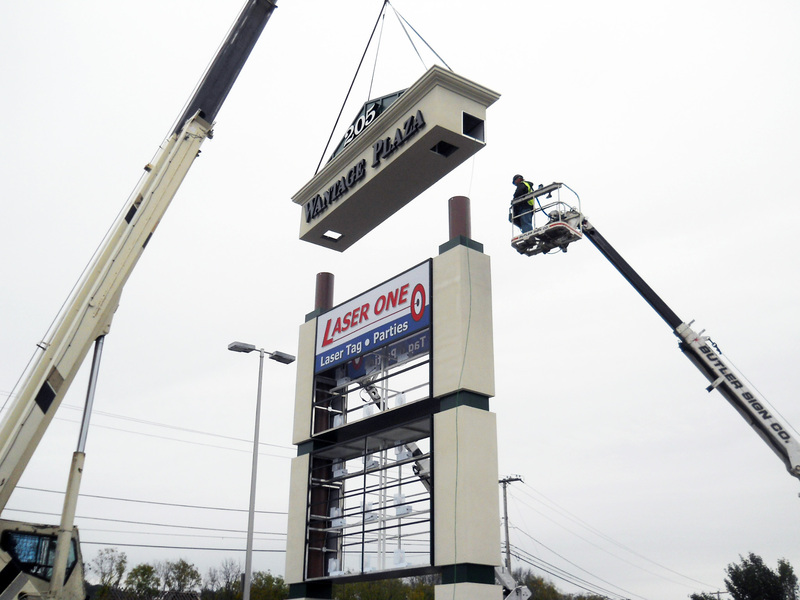 Technological advances have changed the sign industry, offering new energy-saving applications, designs that reduce maintenance costs and state-of-the-art electronic message centers. The professionals at Butler Sign Company embrace the latest technologies, undergoing additional training to stay on top of the latest products and services, including the newest LED lighting and greener technology. Call Butler Sign Company today for all your Signage interests.